Get the Stronghold HD PC Game for free via Download from Amazon. Use your existing Amazon account or make a new one to avail this free download. Download Stronghold Kingdoms Base Game then look at the email from Amazon for the promotional credit and get the Stronghold HD game for free. 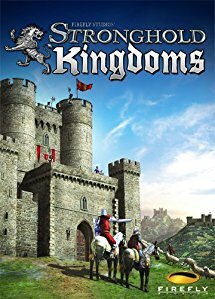 “Live the life of a medieval lord in Stronghold Kingdoms, the world’s favorite castle MMO. A unique PC strategy game, Stronghold Kingdoms features an interactive, online medieval world and a community filled with hundreds of thousands of real world players. Play the role of a peaceful lord… Or talk with your sword! Anything is possible in this simulation of medieval life. Besiege the castle that’s never been taken, overthrow ruthless tyrants, bankroll your faction’s war effort, pillage your neighbour’s resources, peacefully raise cattle or do it all! A wide range of stats, ranks, leaderboards and achievements gives every player something to aim for, from ‘Banquet King’ and ‘Peacebringer’ to ‘Besieger of the Month’ and ‘Lionheart’!